In just over a week, more than a billion people around the world will be cheering Kung Hei Fat Choy to celebrate the start of the Chinese New Year. The Chinese New Year, often referred to as the Lunar New Year, focuses on a lot of myths, traditions and folklore. 2014 marks the Year of the Horse, which is one of the 12 animals used in the Chinese zodiac. You are a horse if you were born in 1918, 1930, 1942, 1954, 1966, 1978, 1990, 2002 or 2014, of course. Personally, I love to learn about other culture's holidays and how they celebrate. I am blessed to live in such a multicultural country like Canada, and I'm proud to have so many friends of various ethnicities. If there's one thing that's similar across cultures, though, it's the love of food. I haven't met one cultural group who a) doesn't like to eat b) doesn't like to share their ethnic/cultural food with others. I'm very fortunate in my line of work to be able to visit many different authentic cultural restaurants around my community. So, in honour of Chinese New Year, I wanted to make an Asian-inspired dinner to pay homage to this very important holiday. 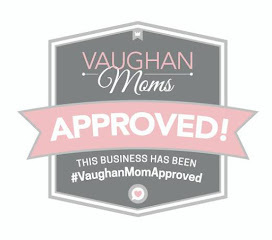 I checked with one of my colleagues, who is Chinese-Canadian, and she gave me the thumbs up. Next step: let's go shopping. 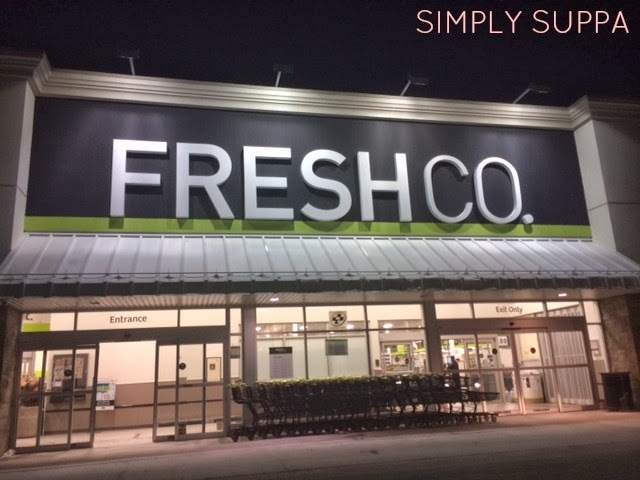 When it comes to cultural food, the best place to get it (in my opinion) is FreshCo. 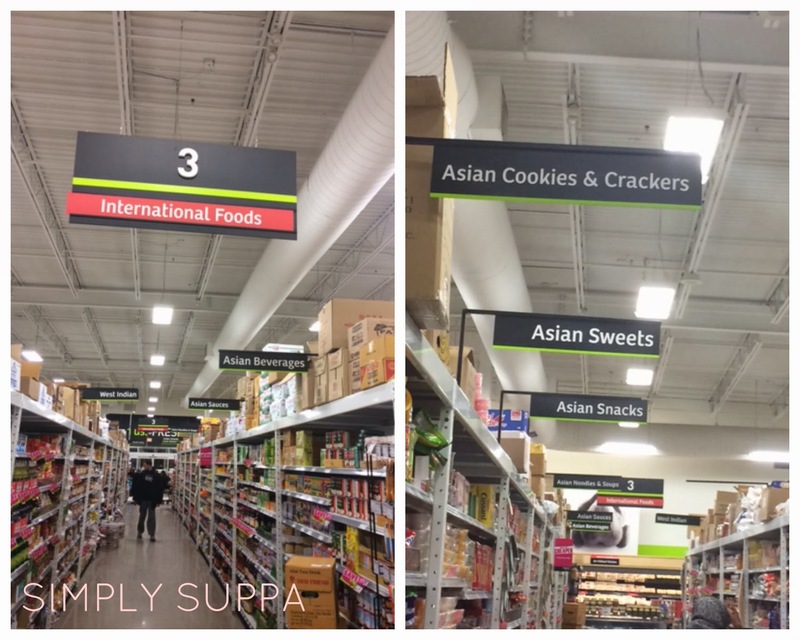 FreshCo literally has aisles of food I've never even heard of. There, it was easy to find authentic Shanghai noodles, frozen dumplings and Chinese vegetables. 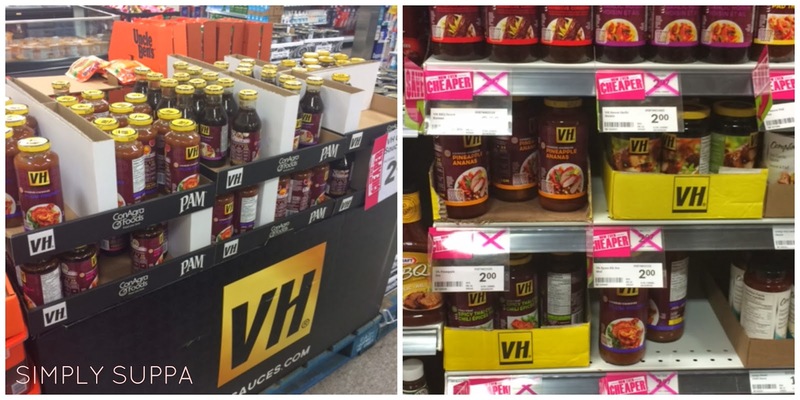 Of course, the store is stocked with Western favourites, too, like VH Sauce. 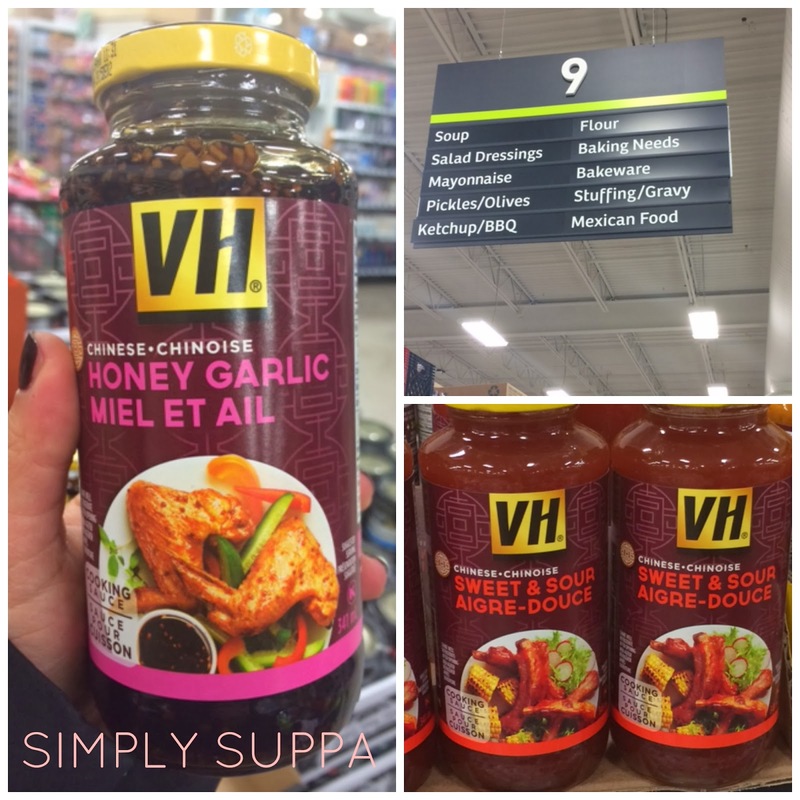 At my local FreshCo, not only is the VH available in Aisle 9, but there was also a large display at the back of the store and jars are conveniently placed near your favourite, complementing foods, like chicken fingers, for example. I've been using VH sauce for as long as I can remember. 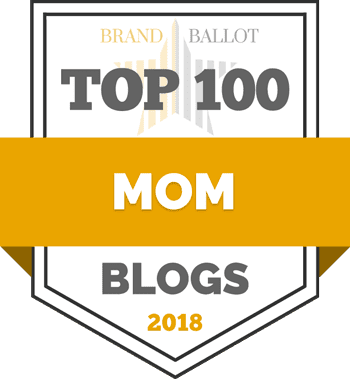 My ultimate favourite is Honey Garlic. I always have a jar on hand. Anyhow, back to my meal. To make this meal, you don't need much, and because it's a stir fry, anything really goes. As VH explains on its bottles, you basically need a protein and a veg. If you want, you can add a noodle or rice. I opted for chicken breast sauteed in sesame oil, and I added boiled bok choy, Chinese eggplant and red onion. I've made this dish with broccoli, bean sprouts, beef, soy sauce. Like I said, anything goes. Cook the salted chicken first in an oiled wok with some garlic, and then add your veg. In a separate pan, I fried up the shanghai noodles in some sesame oil and topped with soy or tamari (I used tamari). Once all your veggies are incorporated, add the entire jar of the VH Sweet and Sour Cooking sauce and stir. Continue cooking, occasionally stirring, for 10-15 minutes so all the flavours are incorporated. 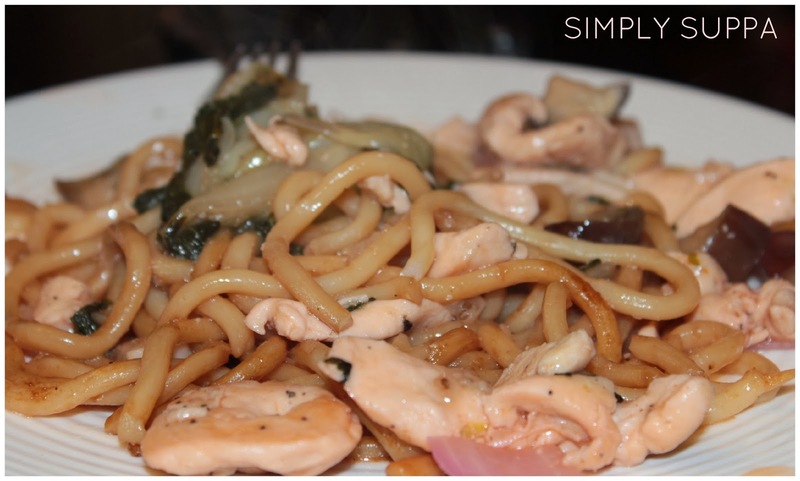 I kept the noodles separate until the plate, but you can incorporate in the wok, too. To complete my Chinese New Year meal, I steamed some frozen pork and leek dumplings, and had a mandarin for dessert (it's good luck). Kung Hei Fat Choy! Do you celebrate Chinese New Year?